Day 6: Leh - Pangong Tso And here we were ready at 8 AM for the 170 km drive to Spangmik, a village on the banks of Pangong Tso. Apart from the final destination, crossing of Chang La, second highest motorable road, was another attraction which kept us excited. 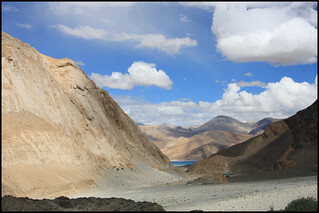 First 50 kms of journey towards south east of Leh is fast paced but then a steep ascent for Chang La starts. 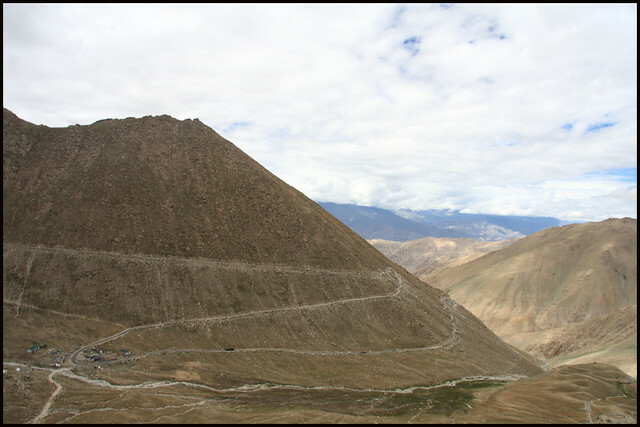 Road to Chang La Unlike the journey of Khardung La, the ascent is more steep and road is zig-zag crossing one mountain by another. At the top of Chang La, there are couple of army posts and a restaurant and you can take a comfortable break. May be we were well acclimatized to high altitude by now, we didn?t face any trouble due to oxygen deficiency. After Chang La, a descent starts crossing beautiful sceneries around till you reach the village of Tangste, a comparatively big town having shops and hotels. One can stop here for short tea break. 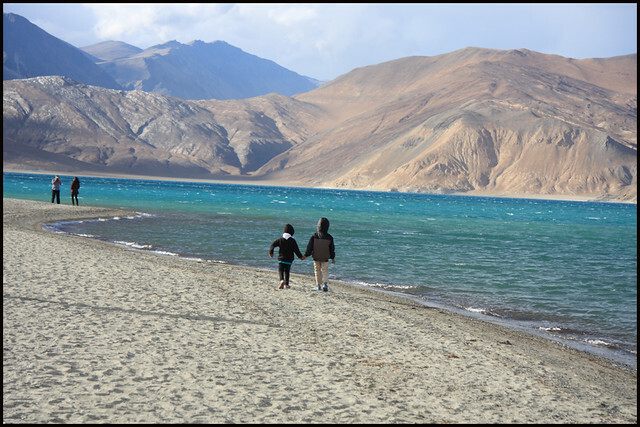 First Glimpse of Pangong Tso From Tangste, Spangmik is around 30 kms. Just before reaching the shores of the lake, when we saw the first glimpse of the beautiful lake, we were amazed with its beauty. A deep blue spot amidst the barren mountains was something breathtaking and we couldn?t hold our excitement to reach as soon as we can. 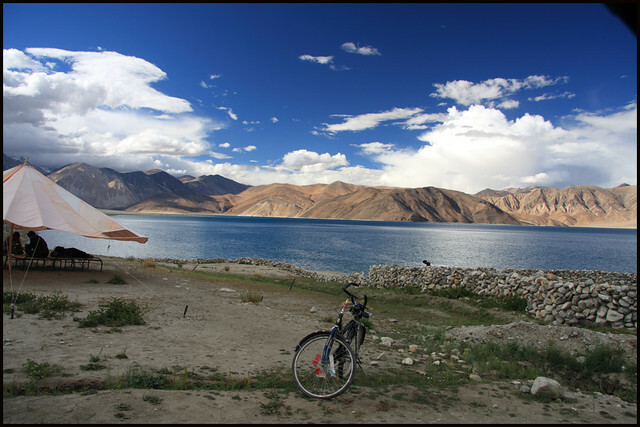 As one starts approaching the lake, colors and size of the lake goes on changing assuring you the wonderful time that lies ahead. The very first corner of the lake was bit crowded but thankfully the camping site was much ahead of this crowd in calm place and very much on the banks of the lake. The splendid scenery of the lake and surrounding mountains was very much enjoyable from the windows. shores, go wandering on the banks seeing beautiful birds and ever changing colors of the lake. We spent entire day just roaming around, Dorjee driving us to various places on the banks including the one where the movie 3 Idiot was shot. After 6 pm, it was difficult to sustain the cold and harsh wind and we have to rake shelter in tents. Next day, too, we spend on relaxing on the shores of the lake. A early morning walk on the banks was a unforgettable experience. At around 12, we started our journey back to Leh. I wish I had planned one more day here. 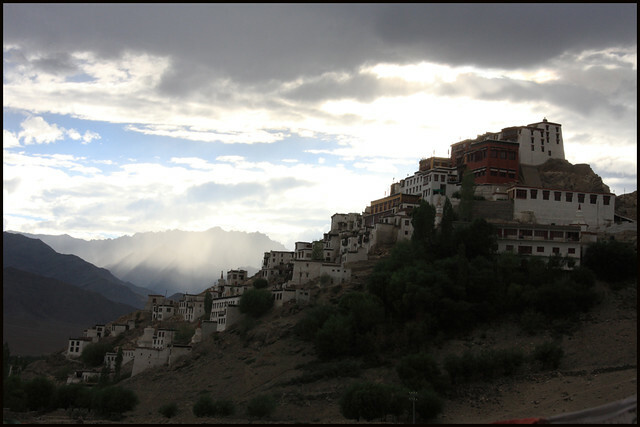 Before reaching Leh, we had planned visiting Thiksey Gompa and Shey Palace which are very much near to Leh (within 20 kms). Thiksey Gompa too is beautifully built like Diskit Gompa. 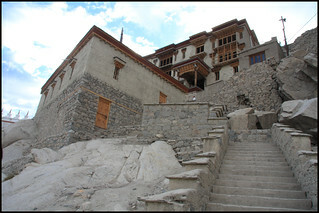 This 15th Century Gompa complex houses various temples and shrines in it apart from the residence of monks. Shey Palace Shey Palace, the earlier Summer Capital of Ladakh, is beautifully located on a hillock and near the lake in Shey village. The 3 storey palace is mostly in ruins now and its remains do show its importance as a strategic location. The view of the barren plains from the palace is very scenic. The palace has a giant statue of Shakyamuni Budhha (3 storeys tall) made of copper with gilded gold. This itself makes a visit worth. The palace badly needs restoration work but there weren?t signs any work planned for it. Hope it starts soon before the palace disintegrates further. After Shey palace, we headed towards Leh and retired for the day. 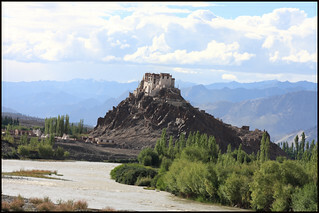 On the way, came across this beautiful Gompa called Stakna Gompa on the bank of Indus, but didnt visit it.